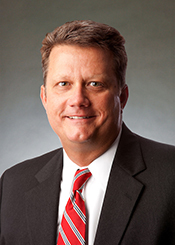 Austin S. “Bo” Taylor is the Region Vice President of the newly formed Central Region of Coca-Cola Bottling Company UNITED, Inc. Bo is responsible for 15 franchised Coca-Cola territories operating in four states. A native of Elizabethton, Tennessee, Bo graduated with a BS in Business Administration from The University of South Carolina and was a pitcher for the Gamecock Baseball Program. Taylor began his career in 1985 with the Atlanta Coca-Cola Bottling Company (Coca-Cola Enterprises, Inc./CCE) as a Relief Trainee and later advanced into several management positions. In 1990, he joined the privately held Coca-Cola Bottling Company UNITED, Inc. as the Sales Center Manager in Brunswick, Georgia. From 1992-1999, he served as the Savannah Sales Center Manager, WBSS Manager and the Coastal Division Manager. In 1999, he moved to Birmingham, Alabama as the Birmingham Division Vice President. In 2014, Bo was appointed to his current role as the Region Vice President. Active in the community, he has served on numerous boards during his career including Hoover Athletic Association, Hoover Youth Sports Council, and Metro Baseball Inc. Bo currently serves as Secretary of the Alabama Grocers Association and Vice President of the Alabama Beverage Association Board of Directors. He is a member of Church of the Highlands and has been married to Jana Taylor for 25 years. They have three sons, Alec (24), Sean (22) and Austin (19).